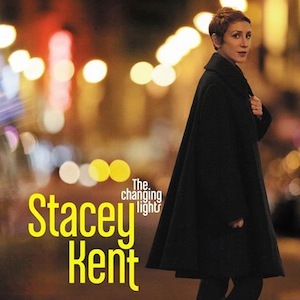 American vocalist, but UK resident vocalist Stacey Kent has developed a specialist passion for the Brazilian-inspired songbook and this latest album is possibly her most accomplished set thus far in this vein. Her voice conjures up a modern day Blossom Dearie, but there is substance to the repertoire and Kent is accompanied by the fine tenor tones of Jim Tomlinson. Furthermore Stacey Kent is increasingly confident singing in Portuguese and that is perfectly illustrated on her interpretations of Boscoli and Menscal’s ‘O Barquinho’ and Jobim and Mendonca’s ‘Samba de una nota só’, better known in English as ‘One note samba’.